An enjoyable read about the Eternal City in some of its darkest times. The author’s style is concise but entertaining, while the narrator handles things adeptly. However, he does stumble over the Italian wording here and there. For example, his pronunciation of ‘Trastevere’ set my teeth on edge a little. But this is minor quibble. Of the sackings, there were occasions where I was amazed how lightly Rome got off compared with other cities in similar eras. On other occasions, particularly when Imperial forces sacked the city after its fall in 1527, the hell Rome citizens went through was simply appalling. Some of the history I had not encountered before and will enjoy reading-up on further. The author’s handling of the two modern occupations, particularly his exploration of the German occupation from 43-44, was thought-provoking, especially the relationship Romans had with fascism - largely content when things went right, angered and confused when things fell apart. It’s here, perhaps, that one encounters the work's weakest point: some important events are skirted over and the question of culpability for fascism among the Romans is often left hanging. A final positive point was the author's ability to link the previous sacks of Rome to the one under discussion, and to assess the history leading up to the point at which the city is taken over. All of this is done with broad strokes but without losing detail. 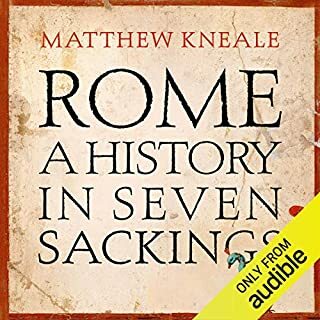 Overall, an excellent audiobook and one for any fan of Rome or those with an interest in general history. A superb yarn that had me gripped. The author’s descriptive power is marvellous and the narrator does an excellent job conveying this. The psychotic nature of Drax and the slow, grinding away of Sumner’s soul were some of the most powerful passages. Clearly a lot of research has also gone into the work too; the job of whaling and its brutal nature comes alive, as does the unforgiving harshness of Baffin Island and the wider Nunavut/Greenland region. 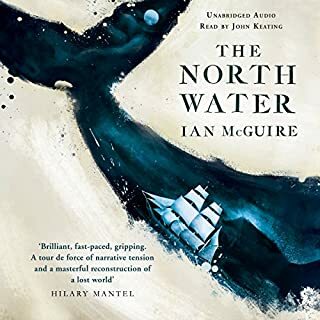 If I had one criticism it’s that I would have liked a bit more development of the plot lines, particularly surrounding events on Baffin Island and the fate that befalls other characters there. 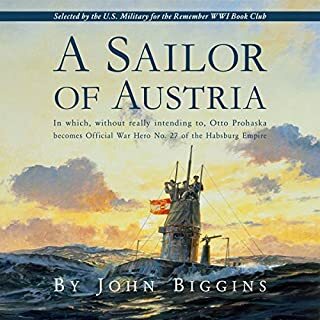 An engrossing historical novel that deftly weaves reminisces of life aboard Austro-Hungarian U-boats, fighting for a sclerotic Empire in a forgotten theatre of war. There are both comedic moments, elements of pathos and bags of action-packed adventure. At points it can feel a bit disjointed as the life story cuts backwards and forwards a bit (the chronology being completed by the other Prohaska novels). Finally, the narrator is clear and concise, although his foreign accents can lean just a smidge towards the 'Allo 'Allo kind. In the event, the prosecution deconstructed her lies and used incontrovertible evidence based on sound investigative work. The author goes into detail about how he did this and how, when it seemed he had hit a brick wall, his persistence in assessing all of the evidence paid off. 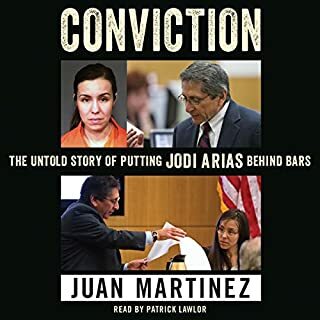 It brings home the fact that what we see in the nightly news is a distillation of years of hard work by law enforcement and men and women like Martinez. Conversely, as a comparison, it also highlights just how poorly-researched and dubious some other prosecutions have been in recent years. Anyway, the book was well written and the narration first class. 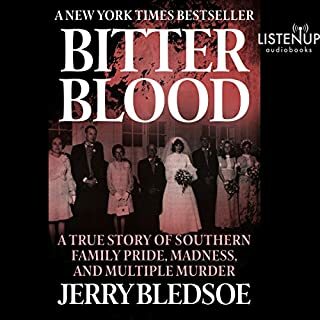 I'd recommend this to those who enjoy true crime and those who like to read about trials or stand-out cases. 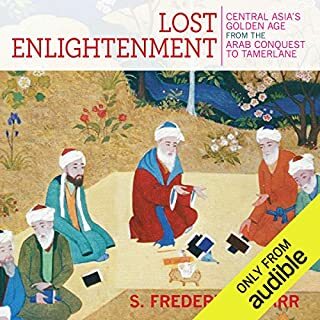 A superb magnum opus that details the rise, apogee and fall of the Central Asian enlightenment. A particular must for those keen to understand some of the leading characters that shaped the Muslim world in both science, logic and Islamic doctrine (both a catalyst for the enlightenment and a cause in its demise). My favourite bit? Almost certainly the author's adept handling of biographical detail and his analysis of the decline, the implications of which we are still living with. The narration was good, although my one slight criticism would concern the levels at which they recorded the narrator. Sometimes it sounds a little bit compressed.